This year, the IDC worked collaboratively with 23 governments and 44 UN and regional stakeholders on the development of robust alternatives to detention. 110 government officials in total were trained, together with members across all regions. IDC coordinated a cross – regional exchange on “working together to end child detention,” alongside the 5th negotiation of the Global Compact for Safe, Orderly and Regular Migration. New York, United States. June 2018. The IDC played a key role in guiding intergovernmental negotiations for the Global Compact on Migration, resulting in more than 160 States now committed to strong language on working to end child detention and developing alternatives. In May 2018 our suggested amendments to the immigration detention section of the Global Compact on Migration were fully adopted in the final text version of the Compact by the Co-Facilitators. IDC developed the NextGen Index, a tool which ranks progress in 20 countries on ending child immigration detention. It is a comprehensive, comparable tool that provides a tangible way to track State progress and harness the power of the network that IDC has been coordinating on the issue of ending child immigration detention. Scores are assigned by Country Committees, which are made up of national civil society representatives, and harmonised by the Global Campaign to End Child Immigration Detention who developed the framework. More than 60 stakeholders were engaged in the project. The IDC now has data on the 20 countries involved, a project framework for ongoing engagement. The IDC continued to serve as Chair of the Inter-Agency Working Group (IAWG) to End Child Immigration Detention, which is an international alliance working to support States to end child immigration detention consistent with existing international human rights obligations to protect the best interests of the child. The IAWG is comprised of over twenty prominent UN groups, inter-governmental and civil society organizations representing stakeholders in every country in the world, including IOM, OHCHR, UNHCR, and UNICEF. The IDC is also part of the NGO Action Committee for the Child Rights Initiative, through whichmore than 25 leading agencies are advocating for child migrants’ rights to be upheld in the UN Global Compacts on Refugees and Migrants. IDC Developed the State Roadmap to End Child Detention which was successfully used to support conversations about national practice. IDC also developed the Alternatives to Detention Roadmap which outlines the proposed milestones for states to develop alternatives to detention and sets out practical milestones for States to enact during the compacts. Civil society participants at the Regional Consultation in Brazil. Brasilia, Brazil. February 2018. 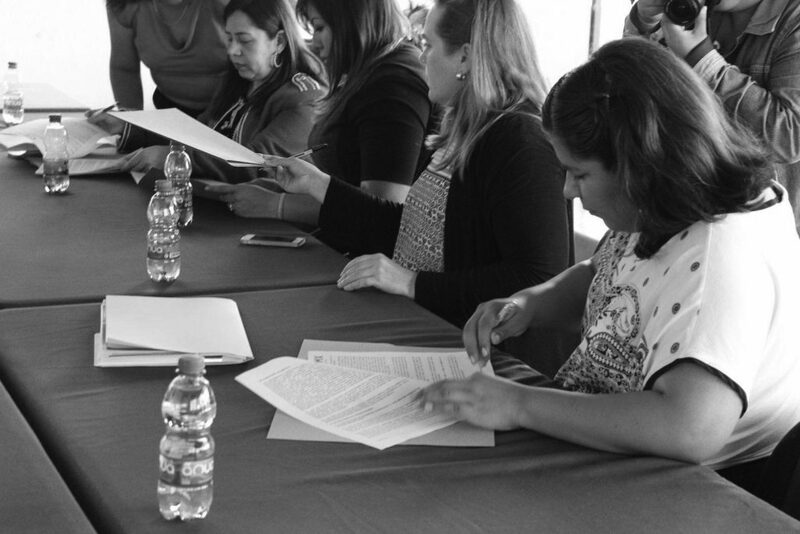 Four IDC member and partner organisations sign an agreement with the Family Welfare Department in Mexico City (DIF CDMX) to strengthen joint work and promote the human rights of migrants. IDC collaborated with partners to develop both a Regional Report and national level report on Mexico to evaluate implementation of the Brazil Plan of Action in its first three years. The reports include specific evaluation of commitments to eliminate immigration detention of children, develop ATD for asylum seekers and identification procedures in border zones and for vulnerable groups to improve access to alternatives. Both reports contributed to government dialogue and the creation of a 100 point list highlighting positive practices and experiences from the region, which contributed to the Global Compact for Refugees. Our sustained work at the national level has continued in Mexico, and in July 2017, IDC coordinated a National Roundtable on Case Management, which served as the first opportunity for civil society, government and international organizations to reflect together on the ATD pilot programs that were implemented in 2015 and 2016. These included the highly successful IDC-supported ATD pilot for unaccompanied children, as well as government-UNHCR-civil society pilots for the release of asylum seekers into community-based ATD. IDC also coordinated a National Exchange on ATD Implementing Experiences in Mexico, in which representatives from more than 20 civil society and international organizations participated, all of which are currently developing and implementing ATD across the country. Together, participants identified the primary challenges in their ATD implementation and discussed possible solutions, such as sharing ATD models, protocols, and manuals in order to better learn from one another, and strengthen their own implementation. The IDC released an analysis of the Trump Administration’s impact on detention one year into term, and this statement on US plans to expand immigration detention of children and families, continuing to highlight that detention is not necessary in order to have well managed migration or asylum systems. Together with these local partners in Mexico, IDC developed an informal ATD capacity building group and undertook stakeholder consultations, site visits and trainings in 6 states. All of these states are strategically important as places with both existing ATD and immigration detention centers, as well as for their geographic location along migratory routes. This work has allowed us to identify new ATD models and positive practices in the reception and care of migrant children. These new examples not only allow us to expand the evidence base of well-functioning child protection efforts among differing contexts, but these examples have also broadened ATD advocacy and implementation networks in Mexico. In May 2018, IDC co-facilitated a roundtable with state- and municipal-level child protection officials and civil society counterparts. NGO and government representatives from 8 states presented on their positive practices and developed a local action plan that they implemented together for the remainder of 2018. The importance of the roundtable and the resulting commitments cannot be understated, since child protection officials are the primary authority responsible for ensuring children are not detained, and instead are referred to community-based ATD. 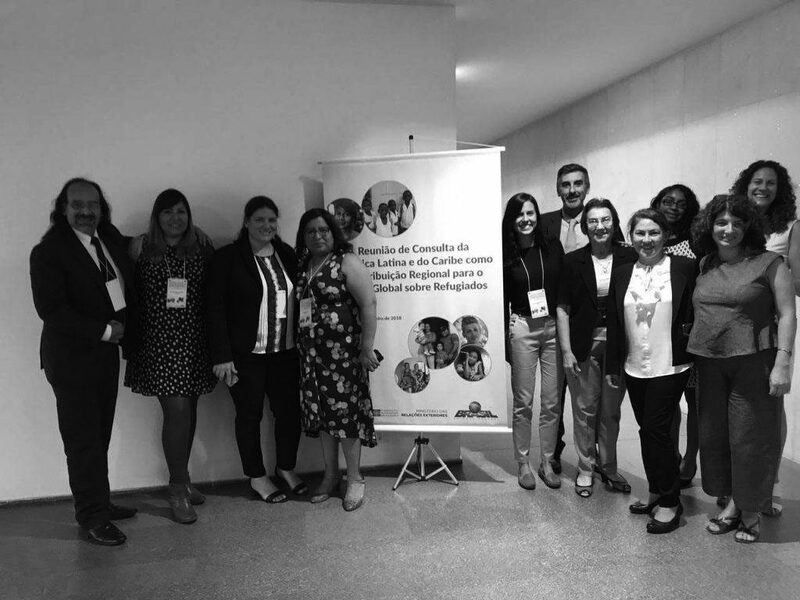 In June 2018, IDC contributed to strategic discussions with representatives from 13 civil society organizations in Honduras in order to better align advocacy efforts promoting ATD and protections for children, both nationally and regionally. Results of the advocacy meeting included gap and opportunity analyses, stakeholder mapping and development of a base proposal for a joint advocacy plan. IDC Theory of Change Workshop. Kuala Lumpur, Malaysia. March 2018. IDC Theory of Change Workshop. Jakarta, Indonesia. June 2018. 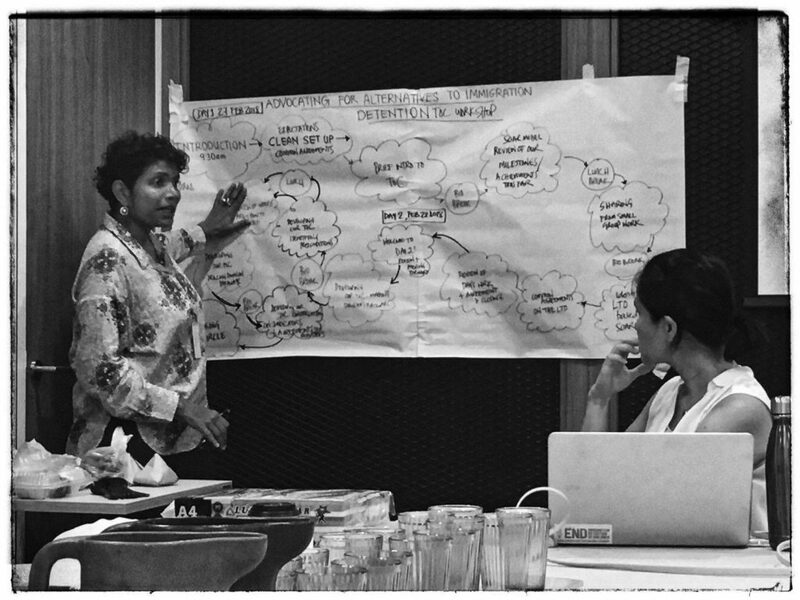 Theory of change workshops were undertaken in 3 target countries: Indonesia, Malaysia, and Thailand. Clear, coordinated strategies towards change were developed at the national level in each country, utilising the existing tools of the IDC. The IDC has also supported focal points in Indonesia, Malaysia, and Thailand to coordinate and drive these strategies forward. Deepening the work in these countries contributes to gathering momentum for engagement-based alternatives and fostering growing interest among partners and advocates, while building relationships with key contacts necessary to change political mindset about the need to detain. In partnership with APRRN, we have made significant progress in building support from the New Zealand government for alternatives to detention for children in the Asia Pacific. Ongoing coalition building has continued in Australia, with more than 26 organisations working towards legislative change to ensure that children are prevented from being placed in immigration detention. On 6-7 December 2017, the IDC along with UNHCR and APRRN, co-hosted a regional roundtable on judicial engagement in Kuala Lumpur. The main objective of the roundtable was to build capacity and raise awareness among the legal community of international human rights standards and refugee law, with a special focus on immigration detention. 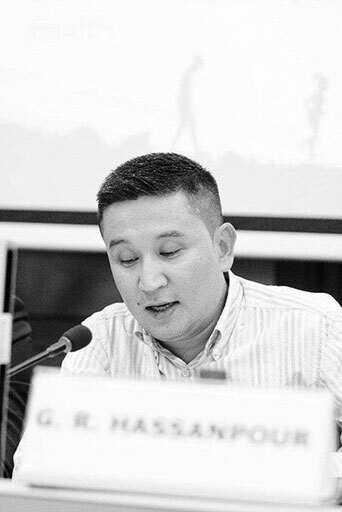 Gholam Hassanpour, Youth Ambassador for the Global Campaign to End Child Immigration Detention spoke at the 11th European Forum on the Rights of the Child about his experience being detained as a child in Greece. Brussels, Belgium. November 2017. 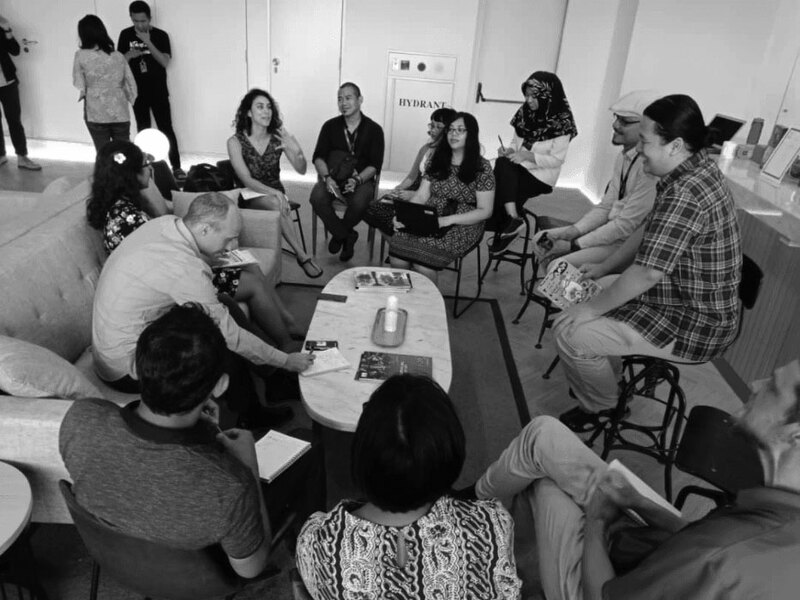 The IDC focused on coordinating and facilitating the European Alternatives to Detention (ATD) Network, which connects NGOs running case management pilot projects in Bulgaria, Cyprus, Poland and UK, with PICUM and IDC. The IDC worked with Network members to conduct advocacy, peer exchange and review. We also strengthened our strategy and shared Theory of Change through a series of online and in-person meetings among advocacy staff and case managers. Through this process, the Network has developed into a pool of advocates who can speak credibly, and from practical experience, about the process of implementing engagement-based ATD. Using a shared language framework on alternatives, we collectively advocated for alternatives as a possible and worthwhile strategy to pursue in the region. IDC and Network members presented on the Network’s pilot projects and learnings at global, regional and national-level meetings in 10 countries this year, while continuing to build relationships with key actors in the region. In April 2018, the Network held a workshop for Brussels-based civil society organisations on “ATD as a strategy for reducing immigration detention”. We developed an NGO info sheet which details the Network’s approach to ATD as a process and strategy for changing political mindsets through NGO-government collaboration and partnership. As a result of the Network’s work, momentum is gathering as more regional organisations are highlighting the need for engagement-based alternatives, and governments and civil society are increasingly exploring implementation. By engaging the European Commission to promote civil society implementation, the IDC made substantial progress in mainstreaming ATD as a plausible strategy for governments throughout the region. This led to the European Commission supporting alternatives and encouraging governments to develop case management-based pilots, alongside civil society. With an expanded section on alternatives, the European Commission’s revised Returns Handbook (September 2017) recommends that governments use a wide range of ATD and highlights the effectiveness of “early engagement and holistic case management focused on case resolution”. In January 2018, the Council of Europe published ground-breaking guidance on alternatives to immigration detention, highlighting trust and support as key elements of effective ATD. IDC continued to engage with the CDDH-MIG committee to support the development of a handbook on ATD implementation. In September 2018, an evaluation report on three of the Network’s pilots was published capturing evidence that case management can have a positive impact. As one of the first qualitative evaluations of alternatives, this is an important step towards bridging the gap between the growing discussion of alternatives in Europe, and the need for practical development of effective engagement-based models. The IDC engaged with and supported governments and civil society organisations to explore further ATD implementation in Belgium, Germany, Greece, Italy, Lithuania, the Netherlands, Romania, Spain, Sweden, Turkey and the UK. Several country committees for the NextGen Index were established in Europe, bringing actors together to work collaboratively on assigning a score to governments in Spain, Italy, Belgium, France, Ireland, Poland and the Czech Republic. With increased pressure to detain migrants across Europe, the need for practical solutions to support an approach to migration governance based on support and engagement, not detention, is more needed than ever in the region. Deborah Sagonda, Action Africa Help Zambia’s Community Services Coordinator. May 2017. The IDC launched the latest report in the series “Alternatives to Immigration Detention in Africa” which highlights legislation, policies and practices related to immigration detention (including child detention) and alternatives that governments are already implementing. Read the full report here. 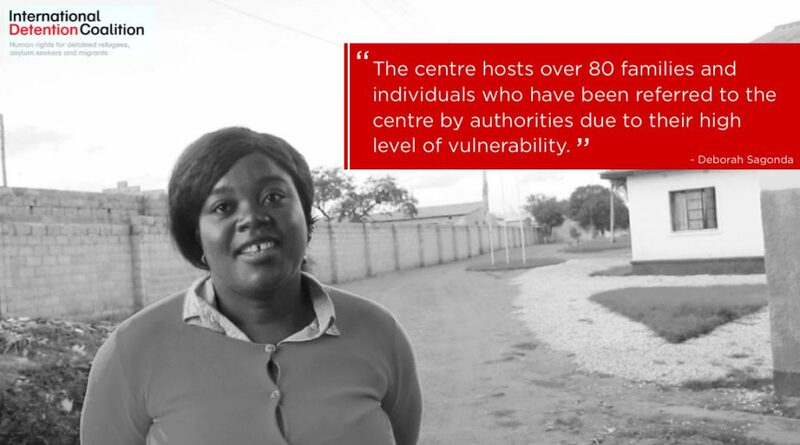 A successful alternative to detention has been highlighted in Zambia, run by IDC member Action Africa Help Zambia (AAHZ), utilizing an inter-agency referral mechanism. Read the case study here. The IDC continued work with 15 States across Africa who committed to developing and implementing alternatives to detention for migrants, including children, at the 2016 Migration for Southern Africa Dialogue (MIDSA). Targeted work continued to be undertaken in South Africa, Zambia, Malawi and Botswana, including work with inter-agency staff. The success of peer-to-peer training and developing networks to support alternative to detention implementation has had a significant impact in the Africa region. In July 2017, IDC developed an internal paper on “From ATD pilots to national reform – A Change Strategy” to contribute to this thinking. IDC regional programmes in Africa are now working on strategies to connect a group of pilot projects, as a way to engage with members and contribute to shared evidence gathering and coordinated advocacy. NextGen Index Country Committees, made up of leading civil society organisations ranking State progress to end child immigration detention, were formed and advocacy strategies were developed in South Africa, Kenya, Zambia and Malawi. IDC Africa and Middle East Coordinator Junita Calder presents at the alternatives to Migrant Detention in Libya Workshop. Tunis, Libya. October 2017. The International Detention Coalition in partnership with IOM, the UN Migration Agency, and the Danish Refugee Council held a two-day meeting to explore alternatives to migrant detention in Libya on 1-2 October 2017. The meeting, held in Tunis, brought together representatives from Libya’s Ministries of Foreign Affairs, Social Affairs and Labour plus the Directorate for Combating Illegal Migration (DCIM) within the Ministry of Interior. Also in attendance were representatives from the African Union, diplomatic staff from eight African countries, Bangladeshi and Pakistani embassy representatives and participants from international NGOs and UN agencies.The meeting provided an opportunity to discuss alternatives to detention with Embassy representatives, as well as how to address challenges facing diplomatic staff with regards to consular procedure for migrants in detention. Several Country Committees for the NextGen Index were established in the MENA region, bringing actors together to work collaboratively on assigning a score to governments in Lebanon and Israel. Among the positive practices highlighted in the NextGen Index is the incorporation of refugee children into the Lebanese education and primary health care systems. The IDC undertook significant work during this period to identify alternatives to detention that contribute to research outlining promising practices in the MENA region, expected to be released in 2019.